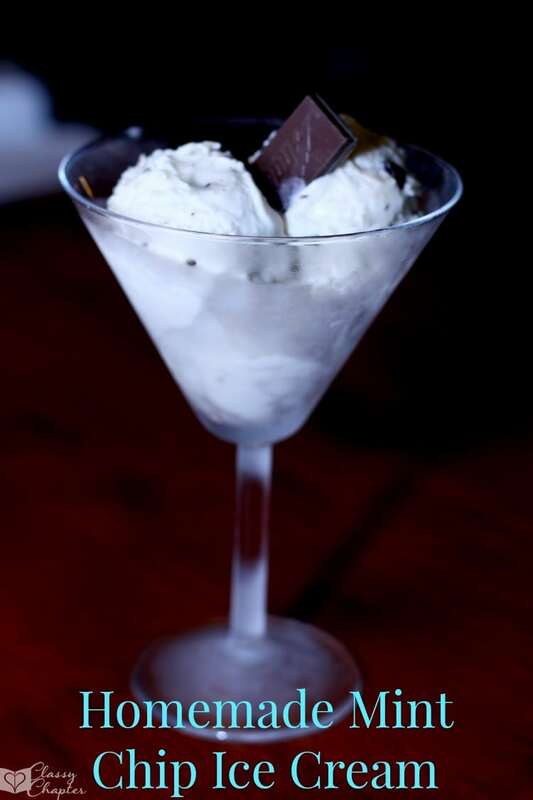 Did you know that it’s National Chocolate Mint Day? This is probably my husband’s favorite holiday without even realizing it’s a holiday. He loves all things mint and chocolate, so much that he asked me to come up with a homemade mint chip ice cream recipe. This homemade ice cream recipe is so easy to make and taste delicious! My family is going to be begging me to make this recipe every day come summertime. This ice cream recipe is so easy, but you will need an ice cream maker. I use my Cuisinart ice cream maker. A few months ago my grandmother gave me this ice cream maker and it has been a life changer. Seriously! We make ice cream all the time now. Start off with your ice cream bowl fully frozen. I leave my ice cream bowl in the freezer so it’s always ready to go! In a medium-sized mixing bowl combine the milk, sugar and salt with a mixer on low. Make sure the sugar is fully dissolved. Stir in the heavy cream and the extracts. Once you are ready to start making your ice cream, turn on the ice cream maker and then slowly pour in your ice cream mixture. Let the ice maker run for about 20-minutes. While the ice cream maker is whipping up some delicious ice cream chop up your Andes Mints. I like mine chopped up pretty fine. Totally up to you! Once the ice cream is done, slowly add in the mints and let the ice cream run another couple of minutes so the mints get combined. Immediately put into a bowl, cover with plastic wrap and place in the freezer. I like firmer ice cream so I tend to keep my ice cream in the freezer for at least five hours before serving. Overnight is even better. 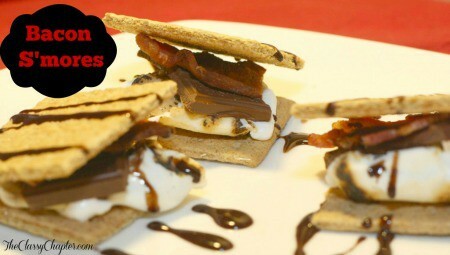 For more delicious chocolate recipes check out my Bacon S’mores recipe! Thank you! It’s so easy and the kids love getting creative with different recipes. Oh my goodness that looks really good. I’ve never made home made icecream before, but it sounds like it could be fun. Looks delicious! I love homemade ice cream and mint choc is my favourite flavour! Oh it’s so good!Get an ice cream maker before summer, you’ll love it. I love most anything mint. Even though it is bitterly cold here, I still want this ice-cream! Thanks for linking this to the This Is How We Roll Link Party! I can’t wait to see what you bring next week! Homemade ice cream is so much better than store-bought and is more fun too. My kids all love mint chocolate chip. I’m excited to try this recipe with them. Thank you so much for linking it up at the This Is How We Roll Thursday party. Mint choc chip is my favourite ice cream, I’d always have it in summer as a child. This has been featured as one of my favourites over at Sweet and Savoury Sunday. Stop by, grab a button and link up again with us this week. Have a great day! Thank you, can’t wait to check out all the other awesome stuff you have featured.